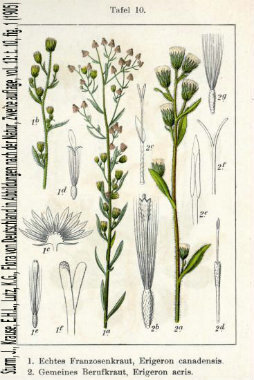 Conyza canadensis (formerly Erigeron canadensis L.) is an annual plant native throughout most of North America and Central America. 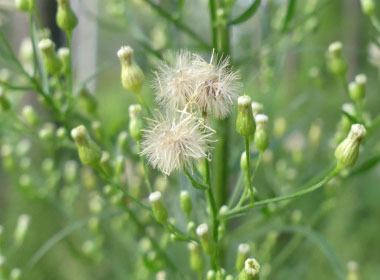 In traditional North American herbal medicine, horseweed was boiled to make steam for sweat lodges, taken as a snuff to stimulate sneezing during the course of a cold and burned to create a smoke that warded off insects. This plant is a strong competitor for water and is a huge nuisance for farmers. Distinguishing Features: Horseweed is a profusely branched and leafy annual plant. The stem and branches are covered with short, bristly hairs. Crushed leaves and stems have a carrot-like scent. Mature plants grow erect and can grow up to almost 2 metres tall. Usually a single main stem branches out from the upper half of the plant. 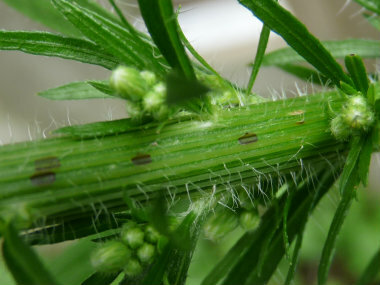 Cutting the main stem of horseweed can lead to the growth of several basal branches. 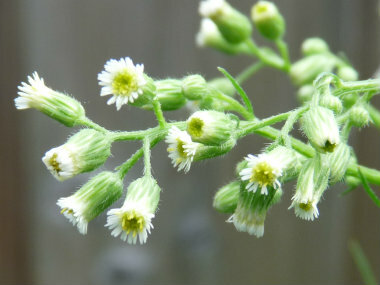 Flowers: This plant has numerous flower heads that measure 3 to 5mm across and are crowded into branched terminal clusters. Flower heads are composed of white ray and yellow disc florets. The ray florets are short. Each head contains about 20 disc florets. The flowers typically bloom in June and can last until September. 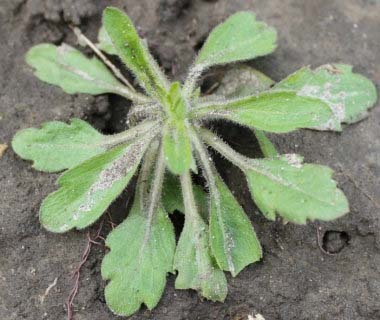 Fields of Nutrition has medicinal benefits and vitamin/mineral content of Horseweed. Leaves: The leaves are alternate, oblong to lance-shaped measuring 2 to 10 cm long. Lower leaves are short stalked and often have bristly hairs. Leaves are smaller higher up on the stem. The middle and upper leaves measure up to 8cm long and are 1cm wide and they are stalkless with smooth margins. Height: This plants can grow anywhere between 8 cm and 180cm tall. Habitat: Although native to Canada and the US horseweed can be found in Europe, eastern Russia, parts of Siberia, Central Asia, Iran, Mongolia, Japan, China, and Australia. 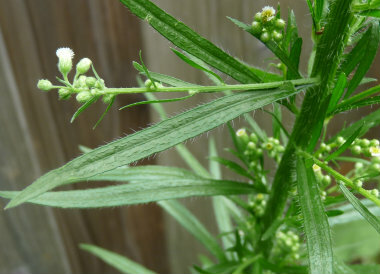 Horseweed prefers full sun and is drought resistant. It prefers fields, pastures, vacant lots, and roadsides. Although it likes fertile soil, it grows in all soil conditions. Edible parts: Young leaves are edible. The leaves are best dried and stored for later use to help flavour meals (flavour is similar to tarragon). The young seedlings are also edible. Native people once pulverized the young tops and leaves and ate them raw (similar to using an onion). The leaves are a good source of calcium and potassium and well as protein. 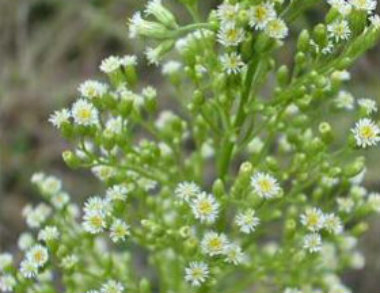 Other name: Canadian Fleabane .